We have really skilled roof cleaners who could bring your roof back to spotless condition in no time. They make use of strong pressure washing equipment and also telescopic poles that could eliminate lichen, mildew, algae, icky discolorations and moss from any roof. That will certainly make your property look more appealing, and will keep it protected from destruction from all the potentially dangerous growths on it. You could save lot of cash for repairs, by choosing our service. We will ensure that your roofing is nice and thoroughly clean and we are going to do it at a very realistic price. If you seek support with the cleaning of your gutters, your roof or your outdoor windows, do not think twice to book our first quality cleaning services today! If there is no company, who is able to care of your industrial building windows, possibly, the enthusiastic experienced window cleaners in Dudden Hill NW2 are here to help you. We are at the same time available for industrial window cleaning services in Dudden Hill NW2. All kind of industrial properties are accepted: hotels, offices, restaurants, IT buildings, stores. Note that our unique safe system for gutter and window cleaning can reach up to fourth floor. Conservatory window cleaning orders are also accepted! Gutter cleaning is crucial if you want to keep your downpipes and gutters unclogged, and protect your building from water damage. Our professional gutter cleaners will use advanced tools to guarantee that everything is properly cleaned. A powerful water or dry vacuum cleaner is used. It has telescopic poles with small cameras on top, so that the cleaners have a clear view of any debris and get rid of it. Ashlee House Cleaning offers a month quality guarantee. If your gutters get clogged within this period after of the cleaning, we will send a cleaning team to unclog and clean them again for free! Request top-quality window cleaning in Dudden Hill NW2 now! To help to make the booking process as quick and easy as possible, we have put in place a great 24/7 system. You just need to get in touch with us by either calling 020 3746 1366 or filling out our online booking form. 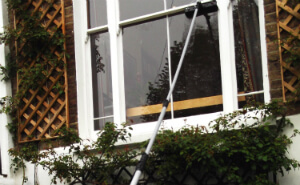 You can demand a free quote or directly book our window cleaning Dudden Hill NW2 service today. Our expert window cleaners can arrive on any day of the year. We have bank holiday and weekend availableness. We have reasonable prices, no hidden fees, and no upfront payment for booking. We will give you a discount for every other service you order along with the window cleaning. Property admins and estate firms get lower rates as well. Take advantage of our environmentally friendly, professional and affordable cleaning services and make a reservation right away. You will be sent an e-mail confirmation inside of the next 2 hours!